A slightly unplanned project. 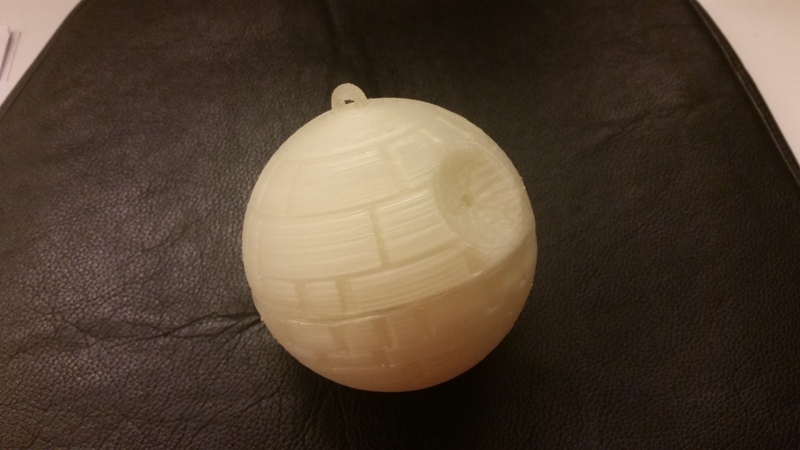 We needed to test a 3D printer in the office, and seeing as it was Christmas, we printed a Death Star Christmas tree bauble. 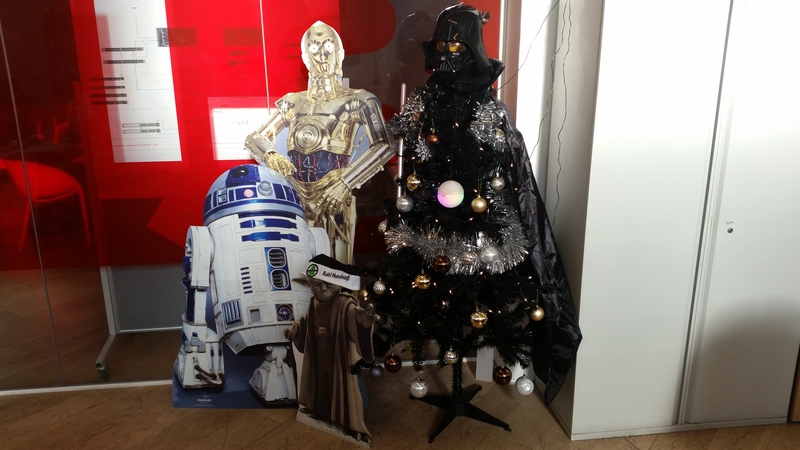 We already had a Star Wars themed Christmas tree, so it fitted nicely. 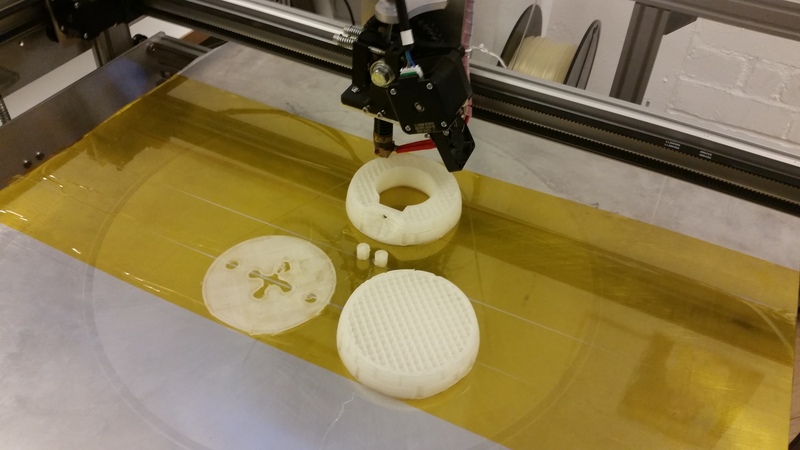 The Death Star model came from Thingiverse. The print took about 5 hours and as it was only our second 3D print, it was a pretty good quality. I used a 24 RGB LED NeoPixel ring from Adafruit and an Arduino Pro Mini from SparkFun and a high brightness green LED. With the help of some hot glue, I installed the flashing innards. the two halves are held together with bits magnets from an old hard drive. 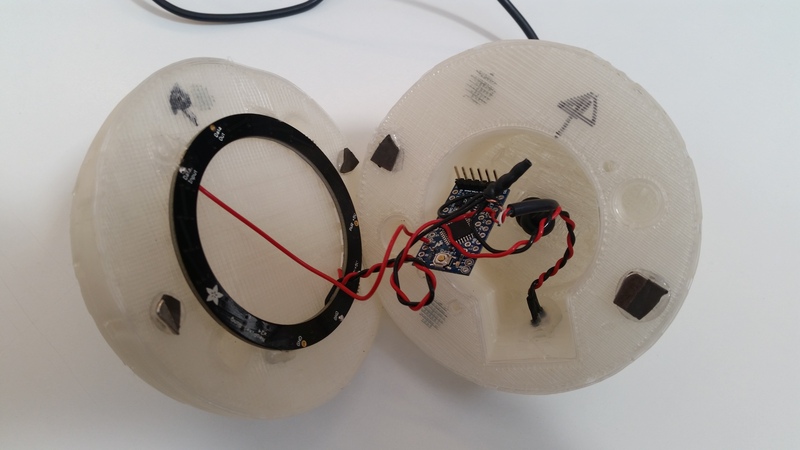 Its powered by a USB power adapter, and the bauble hangs from the cable. This entry was posted in Electronics and tagged 3D Printing, Arduino, Christmas, Death Star, LED, NeoPixel, Star Wars on December 16, 2014 by mostlyrobots2012.